If you are looking to make and sell your own alcohol products (liquor, beer, wine) then you will need to obtain the proper licenses for manufacturing and distributing your drinks. Both the Federal and State Government have laws governing the creation and sale of alcoholic beverages and it can be very complicated to know exactly what you need and how to get it. As alcohol licensing experts, Rezzonator Services can take care of this process, leaving you free to concentrate on running your business. 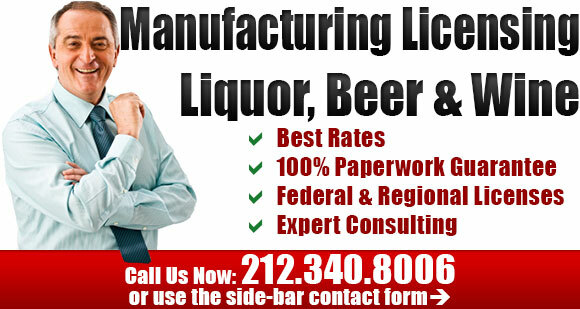 We have the expertise to help you get your Federal and State Alcohol Manufacturing license fast and without all the headaches associated with these procedures. We are familiar with the requirements for your specific state since we handle licenses in the whole Unite States. We also back up our services with a 100% Money Back Guarantee. All labels on your product need prior goverment approval. We can design your labels. Our experts make sure that all goverment requirements are met so the approval can be fast and easy. While we can make it easy to get your licenses through the services offered above, it is important to understand that this is just one part of the whole strategy. You must also be aware of the market and the conditions that can affect your business. As such, Rezzonator Services is dedicated to offering you a full range solution. This includes consultations where our experts can advise you on how to spot and take advantage of opportunities while at the same time avoiding problems that can arise. Marketing - Getting Your Product "Seen & Heard"
A good product is the first step towards building a good, steady and profitable business. But a good product without marketing is likely to sit on your shelves unless you get the word out to the public. Rezzonator Services can help you in this respect as well. 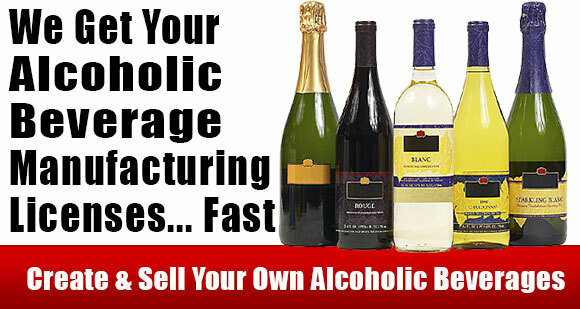 We offer marketing and promotion that specifically targets the Alcohol Market. Bottom Line - We can get your product out to Wholesalers, Liquor Stores and other retailers. While other companies can talk a good game, only Rezzonator Services stands behind our paperwork with a 100% Money Back Guarantee. Call and ask about our guarantee and why working with us is the smart thing to do. With our Guarantee it's obvious why Rezzonator Services is the best choice when you're thinking about going into the Alcohol Manufacturing business. Alcohol manufacturing is a solid investment in a market that's always growing. After all, most people enjoy a good drink now and then, and because the population of the country is constantly growing, you can be assures that there will always be a market. In order to be successful in the alcohol manufacturing business you must first understand some basic principles. You must have an overview of how the business works so that your plan can succeed. 1. Alcoholic drinks are ingested by people and therefore can pose a risk to their well being. Not only that, but it can pose a risk to the people around the person drinking. Just imagine the risk that a drunk driver represents to the pedestrians and other automobiles in their path. 2. The second reason for tightly regulating liquor, beer & wine manufacturing and distribution is TAXES. Yes, Uncle Sam has to get his share of the profits made in the alcohol busies. And since the alcohol business generates BIG MONEY, the taxes involved are carefully monitored by the Federal and State Government. 3. We did say that alcohol creation and distribution creates big money, did we not? Well, with the huge profits and money gathered comes a lot of unfortunate side effects such as money laundering and organized crime. As such, both the State and Federal Government keep an eye on everything that has to do with the alcohol business. The regulations governing the making and selling of alcoholic drinks can be confusing and intimidating. That's why Rezzonator Services offers both licensing and consulting help in order to let you focus on building your business right and making profit. Once these hurdles are taken out of your way by our services, you can focus on creating a great drink that stands out from the rest. Whether it's wine, whiskey, gin, beer or anything else, the point is to create something that has a unique quality. It doesn't have to be the most original drink in the world, but it should be special in its own way. Studies have shown that in spite of the perception that drinkers are stubbornly stuck to their own drinks, they will often try a new drink just out of curiosity's sake, especially when that drink has the "NEW" factor. The drink that YOU create can very well be the next big thing. Why Start An Alcohol Manufacturing Business? It's no secret that alcohol is a business that's booming. The population growth assures a constant demand for alcoholic drinks from wine, to beer, to liquor. If you have been thinking about brewing or distilling spirits, then this is the perfect time to start. The first thing to do is make sure you have a winning recipe. Then get the gear you need, pending on the type of drink you're looking to make and start. Of course, you'll need the proper documentation and licenses to make this work, but that's where we come in. We make it easy to do your paperwork, leaving you to concentrate on actually making the drinks. No situation is identical, so please contact us with your particular circumstances so we can help get you on your way.